We have built two paths of certification and education in our system. The first path covers the C programming language and the second one the C++ language. 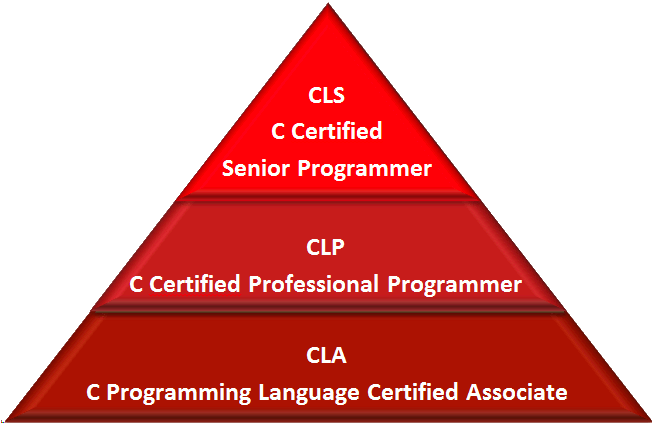 For each programming path three levels of qualification were defined. and Senior – the expert level. To obtain any of those certificates, you need to pass the exam at Pearson VUE Testing Center. There is 6000 Testing Center around the world – you may check if there is such center close to your place here. In order to gain a higher level certification you first need to be certified in the lower one. 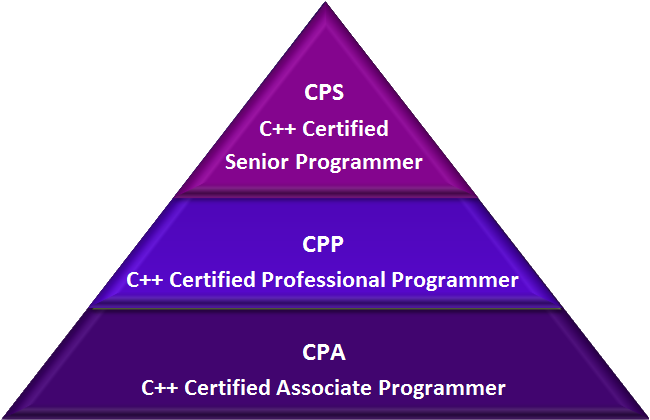 This means that in order to get the CPP you should be certified in CPA and to obtain the CPS certificate you must first pass the CPP. The same is true for the C path. The C and C++ paths are independent of each other. You can choose which path is the best for you. If you are not sure which one is better for you – we recommend to start with C language.